In July of 2007 I was diagnosed with relatively severe prostate cancer. From mid-September of that year, for nine weeks, I underwent proton radiation therapy at Loma Linda Medical Center in CA. 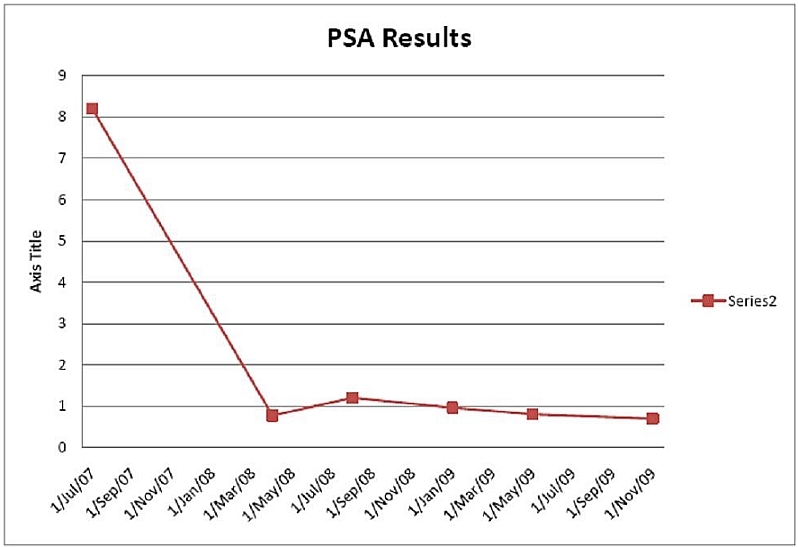 The chart above shows my PSA levels 1) At the time of diagnosis, and 2) intervals since. So far so good. I post this for only one reason. There are those of you who are of such maturity that you should be having your PSA levels checked annually, but for various reasons you’re not. Please, even if you aren’t concerned for yourself, think of those others who are concerned about you.